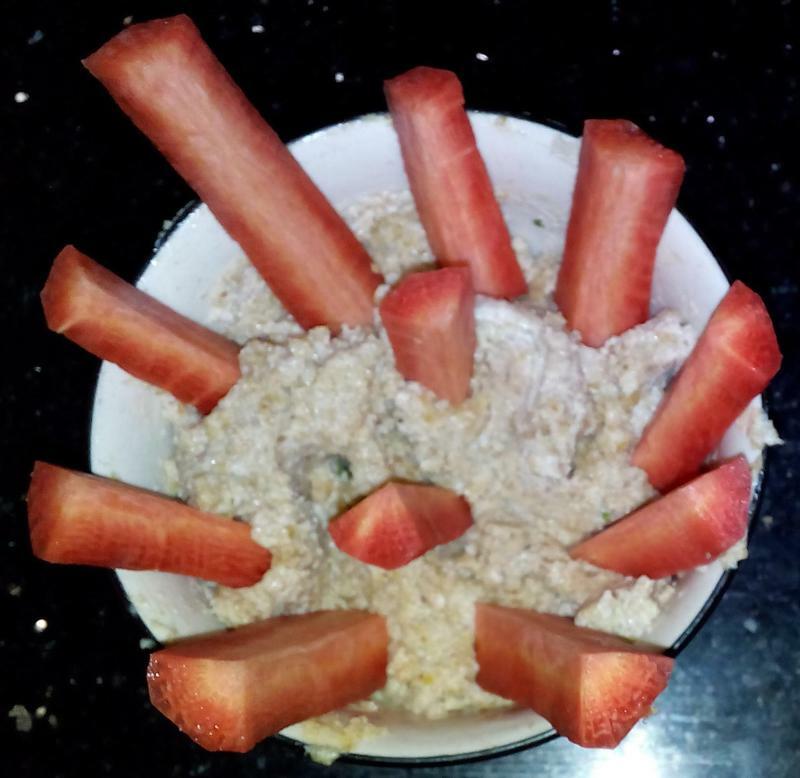 This is an easy to make, snack. It is flavourful, and can be made spicy or not. The walnuts, whole wheat bread, and carrots make it a nutitious and rich in vitamins. Toast the slice of bread in the toaster. 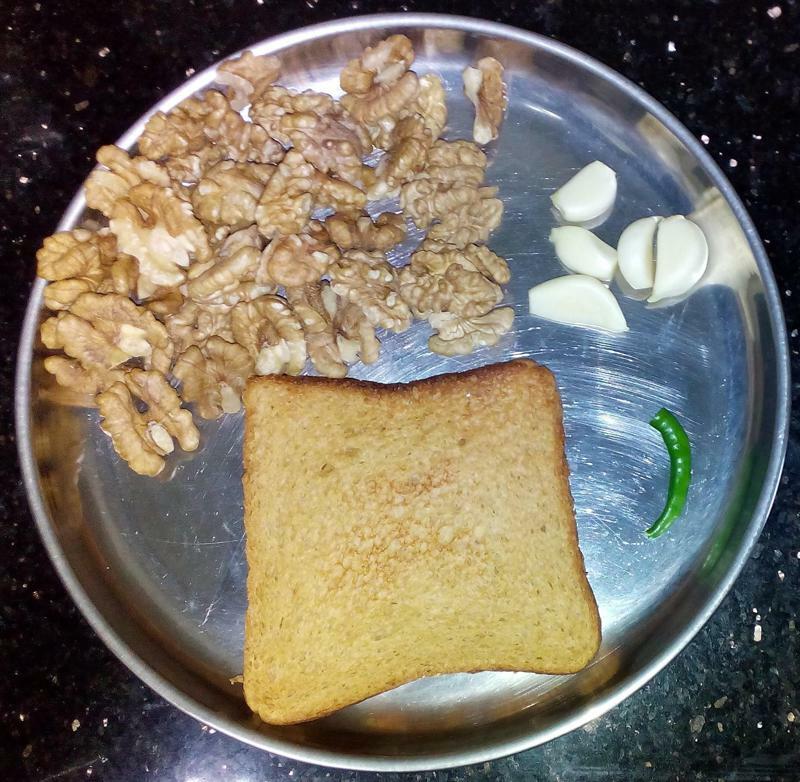 The break the toast into 6 pieces and put the toast pieces and walnuts in to the mixer. Then add in the garlic cloves, chilli, yoghurt, olive oil and salt and run the mixer again till the contents formed a paste. Then take it out in to a bowl. Peel and cut up a red carrot into sticks and arranged them in the bowl. You can make the dip thicker or thinner by using less or more yoghurt. Variations: You can add some cumin. You can also make the dip sweetish by using less garlic, no chillies and some pieces of pear. Then you can spread it on toast or eat it with crackers.